What is this you ask? It's compost! There are days in everyone's life when they wish they just hadn't come in to work that day. Today is one of those days. 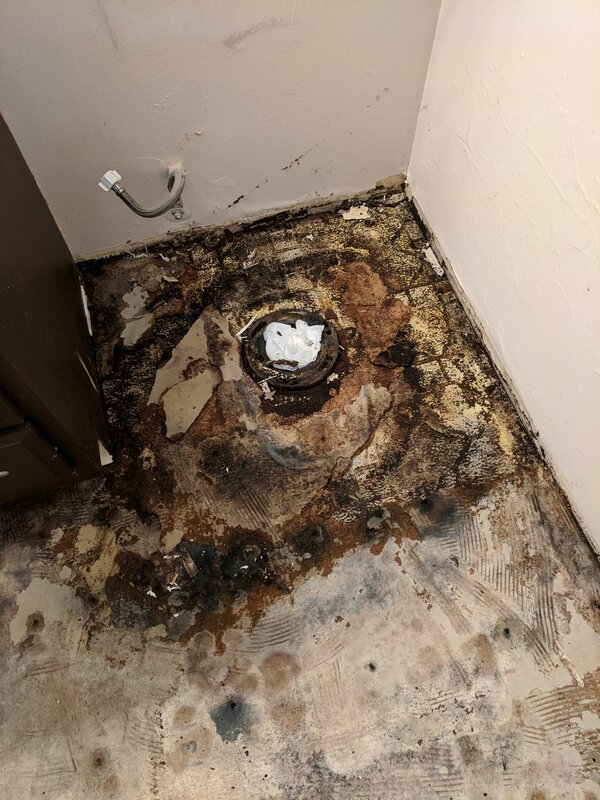 This is what can happen when a "do it yourselfer" installs a toilet without properly setting the wax seal between the toilet base and the sewer flange. Years of leaking mixed with particle board sandwiched between two layers of vinyl flooring = compost.